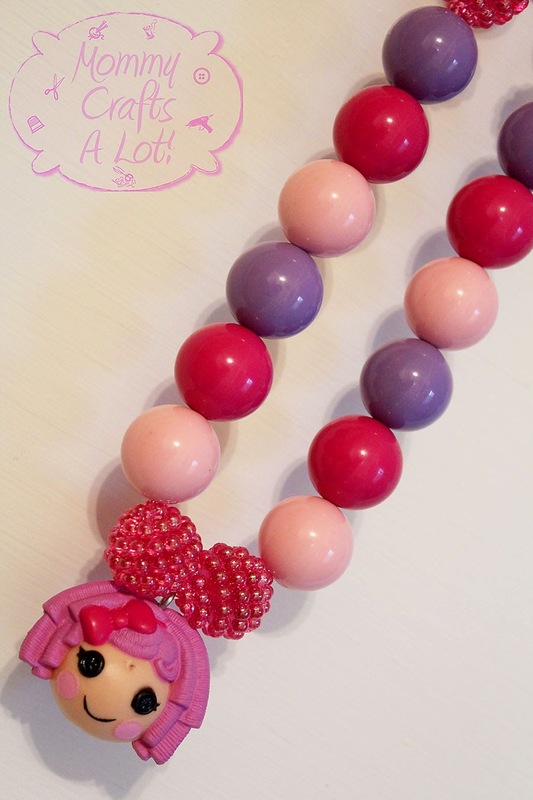 So the latest lalaloopsy bow we made has the NEW lalaloopsy tinies on top! The other photos up there? 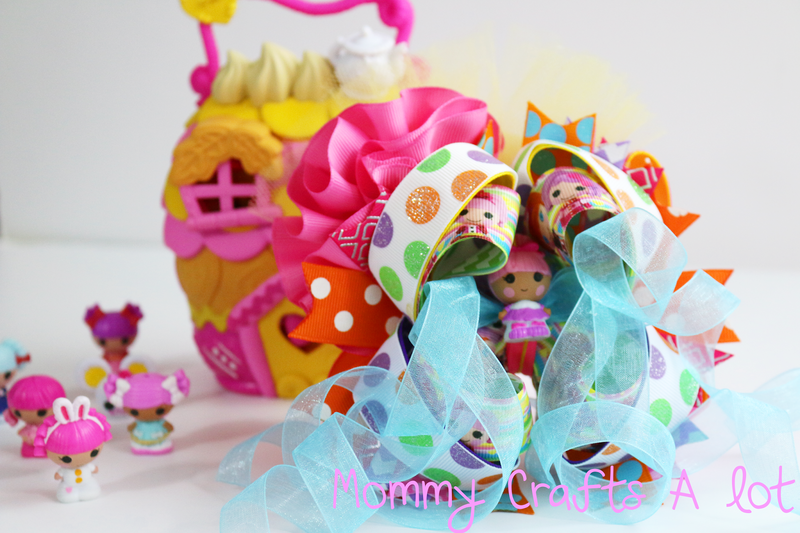 USE CAUTION WHEN ADDING ANY EMBELLISHMENTS TO YOUR CREATIONS especially if little hands are going to be grabbing them.